As an early-morning anchor, Sullivan has been nationally recognized for her dedication to viewers. WHITNEY SULLIVAN begins her day as Columbia sleeps. She usually settles into her desk at WLTX News 19’s headquarters around 1 a.m. The office, a utilitarian mishmash of brick and steel on Garners Ferry Road, is never truly quiet. In the digital age, news is not only constant but also constantly documented, and Sullivan knows this dynamic better than most. As an anchor in the 4:30 a.m. slot, she must pull double duty keeping her viewers informed and keeping them from crawling back into bed. But the early hour creates a bond. Sullivan’s embrace of her viewers is an extension of her approach to journalism. 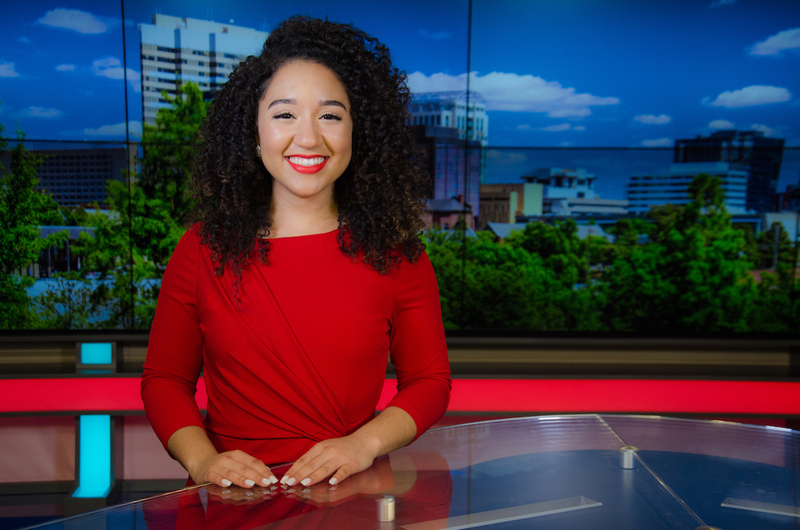 In her role as an anchor, reporter and producer, she favors a community-focused approach acting as a mouthpiece for unsung local heroes and a watchdog for local concerns. Sometimes that community-conscious approach means covering national news as well. Sullivan’s coverage of the Pulse Nightclub shooting in Orlando, Florida, which was nominated for an Emmy, helped Columbia viewers empathize and express grief in the wake of unimaginable tragedy. The twin desires to inform and give voice to the local community animate Sullivan’s work.